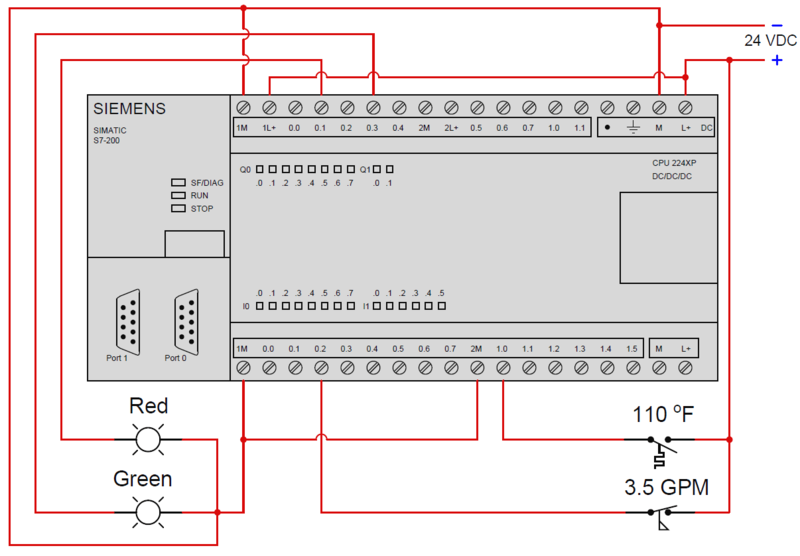 Also, determine whether the inputs on this PLC are sourcing or sinking, based on how they are connected to the process switches. Green lamp is off, red lamp is on. The PLC inputs are configured here to sink current. 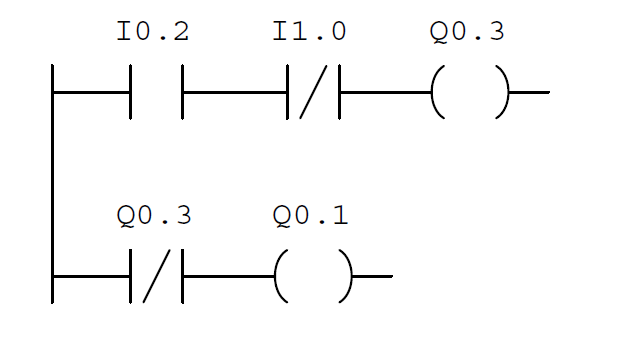 Explain Operation of the Lamp Circuit ?